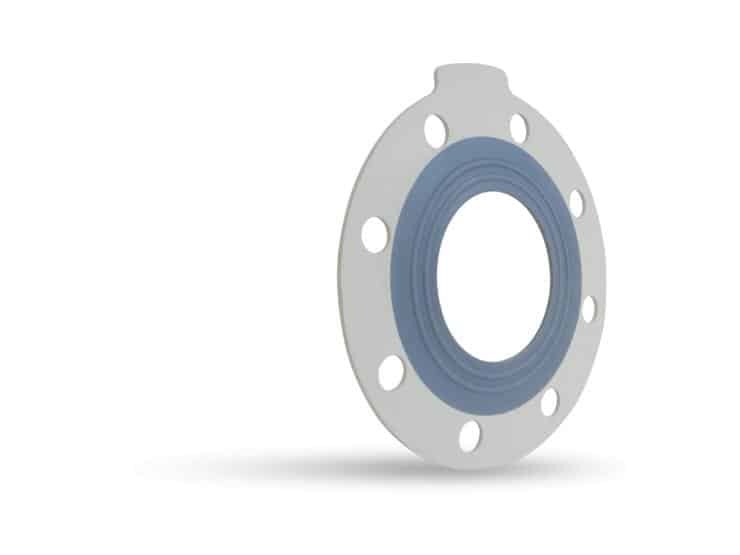 STRESS SAVER® 370 gaskets feature raised, molded-in sealing rings and seal with 75% less surface area for high performance in non-metallic flanges. Its pure PTFE sealing surface resists many chemicals and the contaminant-free EPDM body is ideal for a variety of high purity applications.out performed vermiculite based gaskets in laboratory testing, showing significantly less leakage even in extreme thermal cycling condition. * Tested by BALASZ Labs for trace metal extractables, Anions, Cations, and T.O.C.s. Results available on request. ** Consult Garlock Applications Engineering for FDA information.